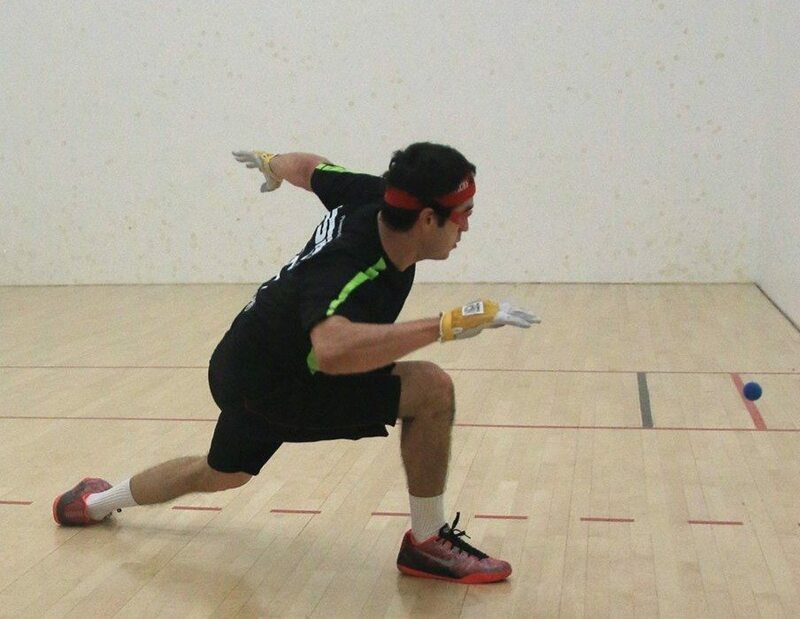 By David Fink, WPH- The 2014 Milwaukee Open attracted several of the game’s best handball stars, including WPH R48 #2 Luis Moreno, #3 Emmett Peixoto, #11 Anthony Selestow, as well as the top talent from Milwaukee, Chicago, and New York City. Peixoto entered the star-studded field as the #1 seed, on the heels of his victory at the 2013 Milwaukee Open. Peixoto cruised to the final with dominating victories over former pro qualifier Kevin Pettus, local legend Tony Krokack, and two-time USHA Grand National Series champion Tyree Bastidas. Peixoto never allowed more than 11 points in any game en route to the final, making the game look effortless. Moreno encountered more resistance en route to the final, defeating 2013 WPH/WOR 3Wallball champion Jurell Bastidas, top 25 WPH R48 pro Daniel Cordova, and current WPH/WOR 3Wallball champion and top 20 WPH R48 pro Nik Nahorniak. Nahorniak nearly defeated Moreno in their last encounter at the 2014 WPH R48 III NYAC Stop #4 and proved that close call was no fluke, as he pushed “The Natural” in both games, ultimately falling 21-18, 21-16. Moreno and Peixoto renewed a rivalry that started 10 years ago when Moreno was Peixoto’s protégé. Moreno dropped the pair’s first six encounters as a teenager, but would win their next eight matches between 2009-2014. Peixoto ended his losing streak to Moreno at the 2014 USHA Four Wall Nationals with a stunning and monumental tiebreaker comeback. Tied at seven in the first game, Peixoto allowed what he perceived to be a bad call disrupt his concentration. Peixoto would lose nine consecutive points and ultimately drop game one, 21-13. Game two mirrored game one, with the top three stars battling to a 7-7 tie. As he had in game one, Moreno separated himself, taking a 16-8 lead and seemingly minutes from hoisting the trophy. Peixoto changed his tactics, slowing down the game with a lob serve and seizing the momentum. Peixoto scored 13 of the final 14 points in game two to stave off elimination and force the tiebreaker. Moreno regained the momentum he had lost in game two, racing to an 8-1 lead in the deciding frame. Moreno led Peixoto 9-0 at the USHA Four Wall Nationals in their last encounter before losing 11-9, and a similar scenario began to unfold. Peixoto scored seven consecutive points to tie the score at eight before Moreno earned a side out and scored consecutive points to arrive at match point, Undaunted, Peixoto regained control, scoring two consecutive points to tie the game and serve for the match at 10-10. Peixoto served a lob to the left and after a furious 15-shot rally, Peixoto attempted his favorite shot, the left-handed kill down the left wall from the dotted line. Buoyed by his good fortune, Moreno served a huge hop serve on his second match point that handcuffed Peixoto, forcing a weak return. Moreno executed the “first-strike” kill and clinched the title, 21-13, 17-21, 11-10. Thank you to WPH reporter Anthony Selestow. Like the World Players of Handball on Facebook, log onto wphlive.tv or follow the WPH on Twitter @dfwph and @wphlive for all of the handball news from on and off the court! Moreno and Peixoto will be in action again at the WPH r48 IV Stop #3 January 23rd-25th in Houston Texas. Catch Moreno and Peixoto and all of the other pros on race4eight.com and Watch ESPN.